WHATEVER SHALL I CALL YOU? My purpose in starting to blog was to discuss writing and to gain insights that might help in creating my own works of fiction. Somewhere along the way I seemed to have morphed into the political arena. This effort will be more in line with my original intent. A few days ago I was sharing a pair of Caramel Frappuccino Grandes with a fellow writer and the subject turned to how choose character names. We each had our pet procedures but certain similarities were present in my approach and hers. I would like to discuss a few generalities and then see if I can learn something more on the subject from the blogosphere. Avoid using duplicate names unless there is a definite plot device reason for doing so. My writer friend had two Sams, a Samantha and a Samuel but nothing in the plot to justify the similarity and a few places where the shortened form relied on context to tell which gender was being referenced. One or two unusual names are okay but there is a line not to be crossed. An entire cast of characters with names like ‘Moonbeam’ or ‘Fenstermacher’ soon becomes confusing. A confused reader is not likely to carry on with your narrative. To which generation does the character belong? The grandfather in the piece might be ‘Bob’ or ‘George’ but probably not ‘Biff’, Chad’, or ‘Dirk’. Sorry Dirk, I know that you love your grandkids but the reader just hasn’t met you in real life. Sci-Fi presents its own challenges. I am currently working on a novel which takes place on Earth during pre historic times. The characters are all from a different galaxy. It just didn’t seem right to call them ‘Ron’ or ‘Mary’. My solution was to borrow names from obscure languages that I then modified slightly. I drew heavily from the Gaelic and Maori. Period pieces call for names correct for the period. Do a search for some historic event that took place during the time the action in your novel is happening. Then just read the names of the people involved and adapt as needed. Stuck for a name? Try the phone book, opened at random, a first name from column A and a last name from column B. Repeat until you are happy with the results. Right will always feel, well, right. Sometimes a change in a character’s name will sneak up on you. You’ll find yourself fully plotted and well into the first draft when something will happen to cause you to rethink a name. 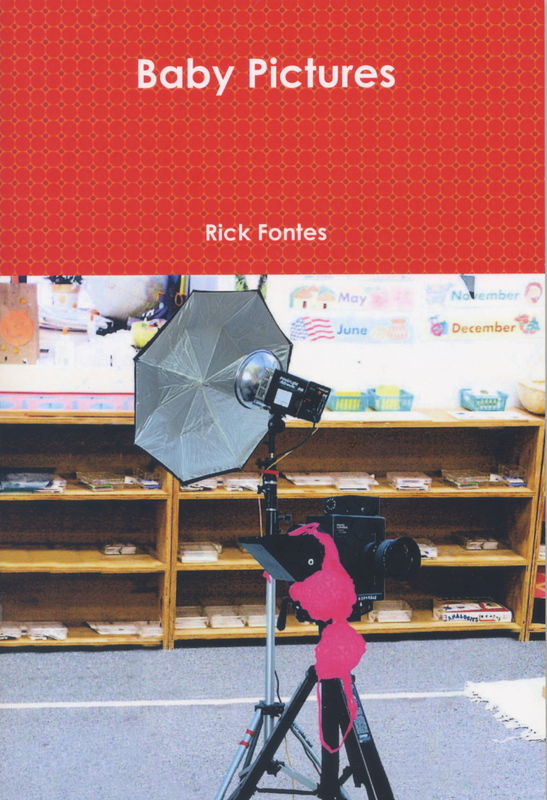 A case in point, I was well underway with my tell all novel about the child care photography biz, my female lead having been given a name very similar to that of the real life lady who inspired the character when a single very short scene caused me to rename her. The place was Seattle. I was setting a scene in which a piece of romantic music would be key. I listened to a number of tunes looking for that just right piece, something that was a love song but not saccharine and I wanted it to have a killer sax solo. I found it, the second cut on an album titled, “In a Sentimental Mood” by Dr. John. The title is “Candy” and the sax solo is by an artist named David “Fathead” Newman. I listened a couple of times and knew that I had a winner. Having this song as the just right music for the scene presented another dilemma. I needed to tie the song to the lady. I contemplated going back to an earlier scene and giving her Candy as a nickname but ended up going to the ‘find/change’ feature of my word processing program and simply renaming her. If you go to Amazon and use the ‘look inside’ feature, this scene is on pages 60-61. I have just skimmed the surface of the character naming subject and would welcome any input. Feel free to drop by with your own thoughts on the subject, and a frappuccino, any size or style, would be welcome. This entry was posted in Uncategorized and tagged character names, finding names, photography companies, Seattle, St. Louis. Bookmark the permalink. 12 Responses to WHATEVER SHALL I CALL YOU? Thanks for the reblog. I always learn a great deal from you and your extended clan. I have been told there is a name generator out there and for different time periods and science fiction or fantasy. I didn’t check it out, but there probably is. Thanks for your comment. I would not be surprised to find such a service. For me half the fun in writing is the research. I am working on book number eleven and I have learned something new and usually unexpected while working on each of the others. Creating character names falls into that category for me. I never went to look for it. I tend to write in the present and don’t write fantasy. Never checked it out. Too many folks want to take the easy way out instead of having to think for themselves. Do a search for “computer generated fiction” and you’ll see a scary future. Exactly so. Thanks for your comment. I tend to avoid unusual names unless there is something in plot development that calls for it. There are already enough stumbling blocks for the reader in any narrative without creating a question as to why a character has a certain name. I hear Jason is a GREAT name for novels, blog posts, and generally any character you can think of! Starting near the letter “O” I suggest.